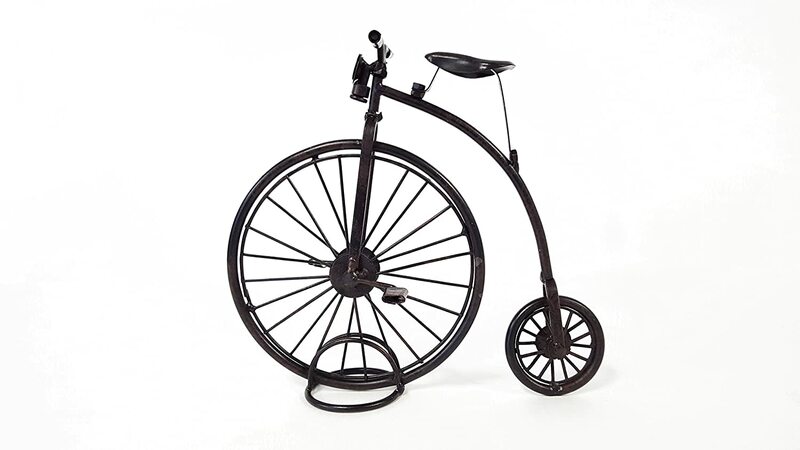 Since they were first introduced in Europe in the 19th century, the bicycle gained a lot of attention throughout the following years. At first, they were used as a means of transportation. Nowadays, apart from being used in competitive sports, public services, stunts or just relaxing activities, these two-wheeled vehicles may serve as bike decor ideas for wall art, as well. 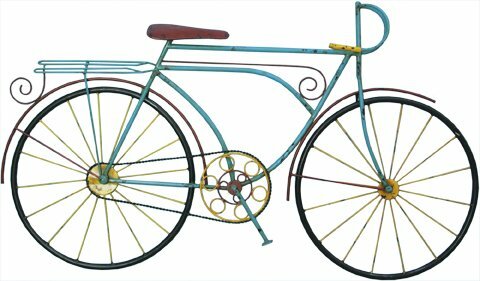 The fact that a “safety’s bike” design is similar to the first model introduced back in 1885 makes them great bike decor ornamentations for either indoors or outdoors. Hence, you can place them in the garden, in order to add a touch of personality to your green space. At the same time, you can hang them on a wall in your living room. 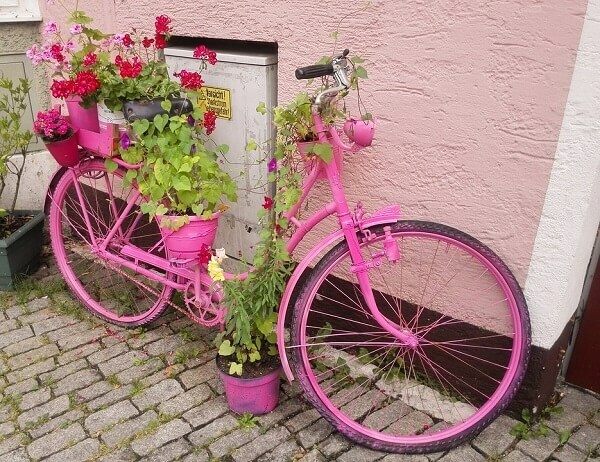 No matter what your intentions are, you can find here the most creative bike decor ideas for your garden, as well as interior walls. 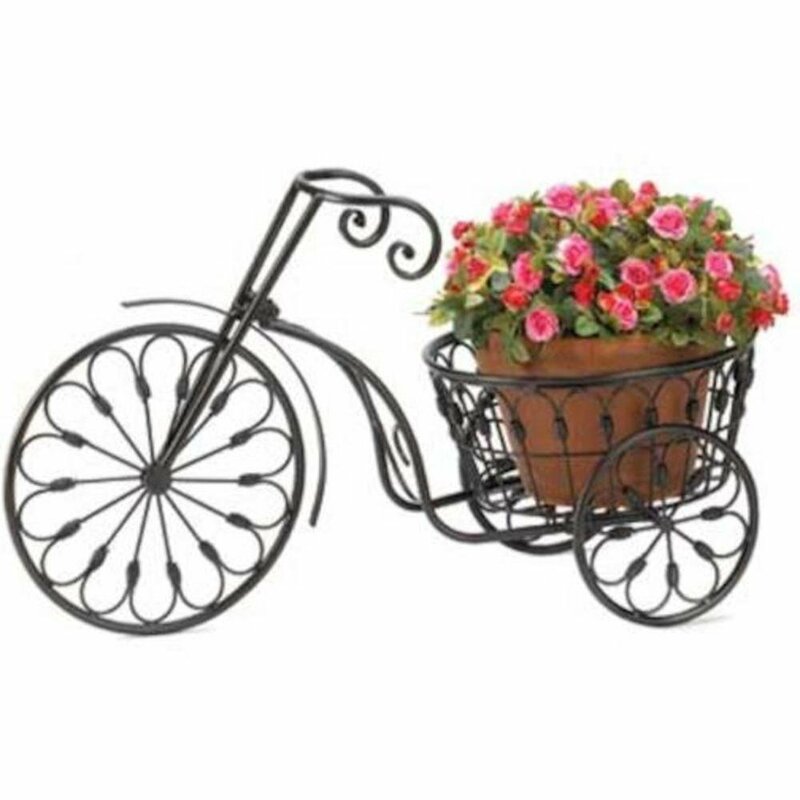 The first option on our best bike decor ideas is this wonderful plant stand. Even though it is great to place somewhere in the garden, near the flower bed, perhaps, it can do just fine in the corner of your living room. The shape resembles an old-fashioned tricycle. However, instead of the saddle, it features a metal basket. You can place a single large flower pot inside, or several smaller ones, as well. Everything is made of wrought iron and weighs about three and a half pounds. 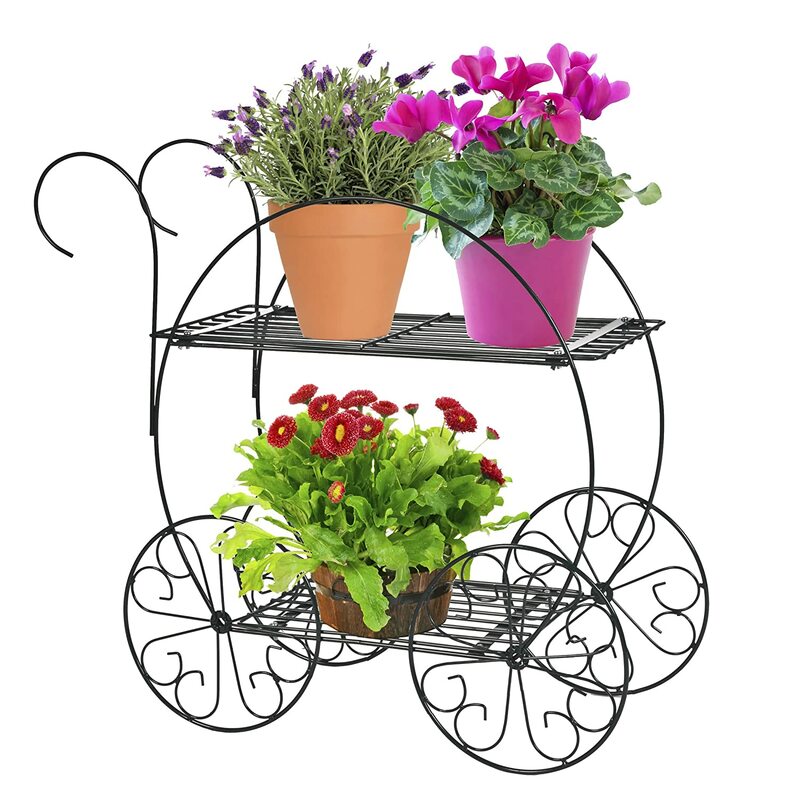 For people passionate about growing all sorts of colorful flowers, this beautiful garden cart makes for a perfect fit. It is significantly larger than the previous bike decor suggestion. As a result, you can use it to support more flower pots. This is possible due to the fact that it features two shelves placed one on top of the other. Some other aspects such as the deep hunter green finish and durable rust-resistant materials make it one of the best bike decor ideas on our list. You can never have enough Halloween decorations. 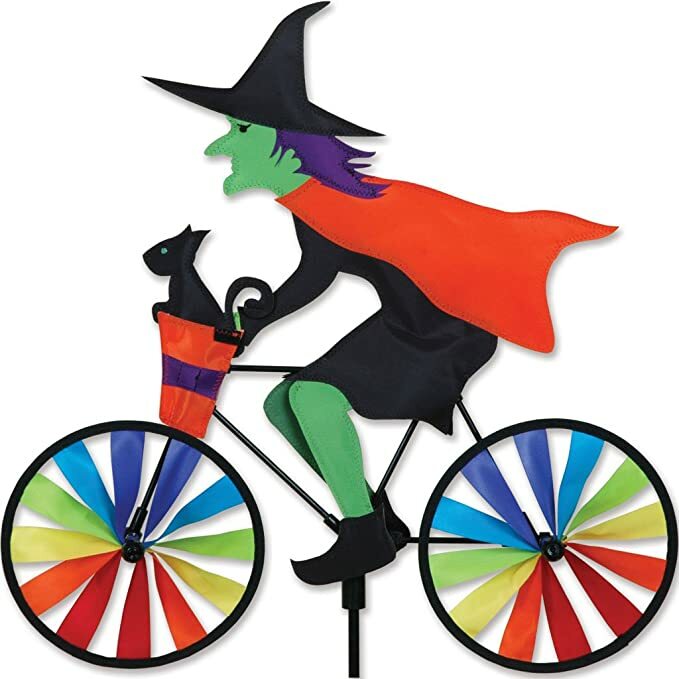 Hence, use this creative bike decor suggestion to add one more scary detail to your garden. Even though you can use it as a creepy decoration, it actually features bright and playful colors. The fabric material is great, too. It is 100% UV resistant. This means that the colors will remain as bright as the first day you got it for a long time. This particular piece also comes with a support pole and a ground stake included. This inventive bike decor looks like a bicycle that comes out of the wall. Only the front wheel, a basket, the fork, and handlebars are visible. You can use it as a garden decoration and store all sorts of plants in the front basket. Or, you can hang it from the walls of your living room, as well. If you go for the outdoors decorating, rest assured as it features high-quality weather-resistant materials. However, make sure to keep the plant away from inclement weather. Another great garden ornamentation on a stick is this model of a vintage American motorcycle. This antique-looking motorcycle features distressed style red paint with cracks, chips, and streaks to add a bonus of authenticity to the whole thing. This particular piece is 19 inches wide and stands 63 inches tall. You can place it anywhere in the garden, in order to add a bonus of personality to your backyard. Also, the metal work benefits from a high-quality weather-resistant handmade finish. Some bike decor ideas are best suited for indoors. Hence, this magnificent piece is great if you’re going for a rustic look. Also, the concept is pretty simple but delivers impressive results. 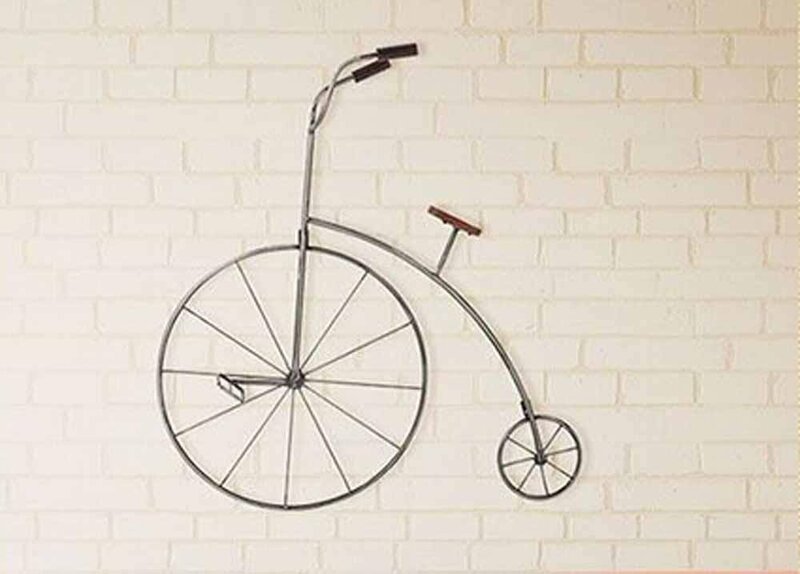 Instead of the regular spokes, this old-looking bicycle features a retro design of a stylish wall clock. The wonderful rusty finish only adds a touch of authenticity to this incredible piece. You can place it on an outdoor wall, as well, thanks to the weather-resistant materials. However, keep is safe from inclement weather, to protect the clockwork. 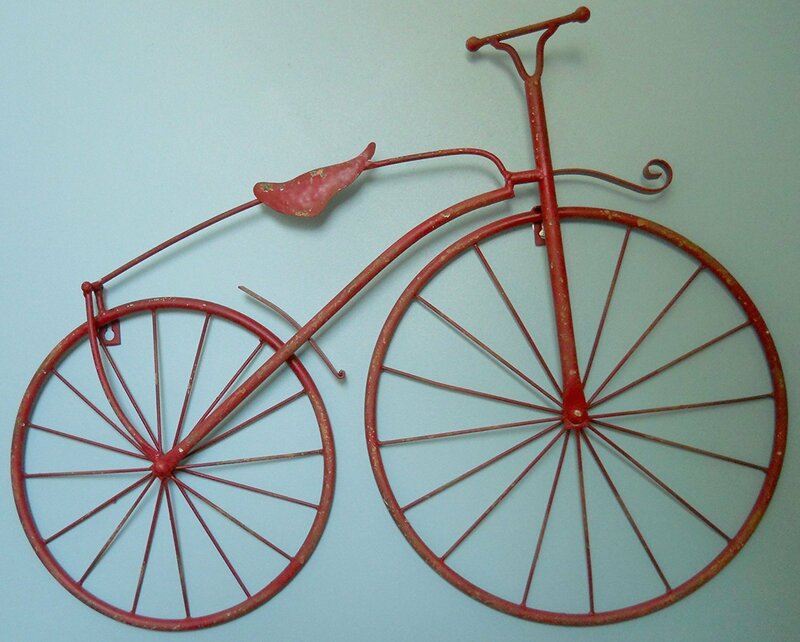 Another impressive bike decor idea for your either your garden or outdoor walls is this model on an early American bicycle. It is made entirely out of metal, even the saddle. Also, it features a realistic distressed paint job with some rust-like additions here and there. All of these impressive details only add more beauty to the whole thing. Furthermore, it also has two hooks that will help you secure the ornamentation in place. Also, if you benefit from a rather roomy living room, place this over the fireplace mantel for the best effect. This has to be one of the easiest to recognize early models of bikes. Even though you only get to see these nowadays in the museum, there are countless replicas on the market that serve as bike decors. You can use this to adorn your backyard or add a bonus of beauty to your personal space. No matter the case, this particular piece is made entirely out of metal with a slick black finish. The wheels spin and handle turns in all direction, to make it look more authentic. However, it is for decoration purposes only, so you might want to keep a close eye on the kids. 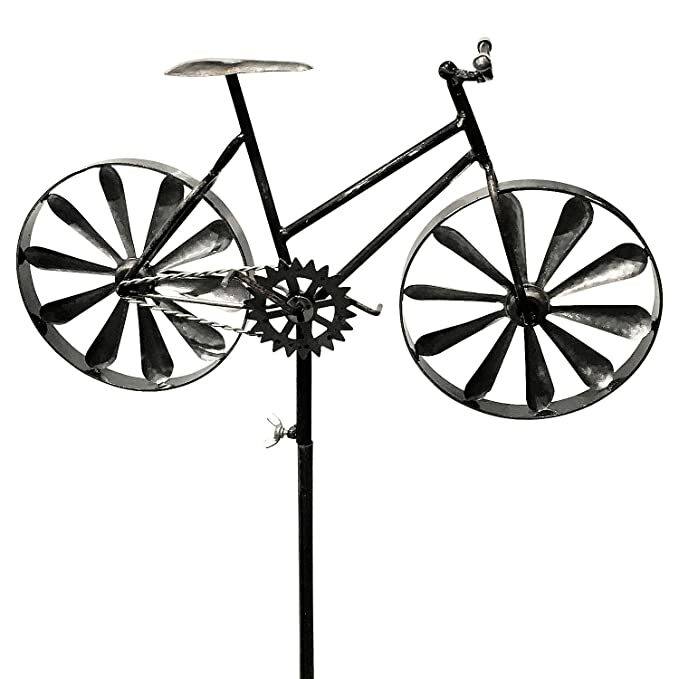 Although it is completely made of metal, you can hang this lightweight bike decor anywhere you please. This is if you wish to decorate a particular room in your house. If not, you can simply place it in the garden near a flower bed. No matter what you chose to do with it, the durable materials ensure that you will take joy in this particular piece for many years to come. 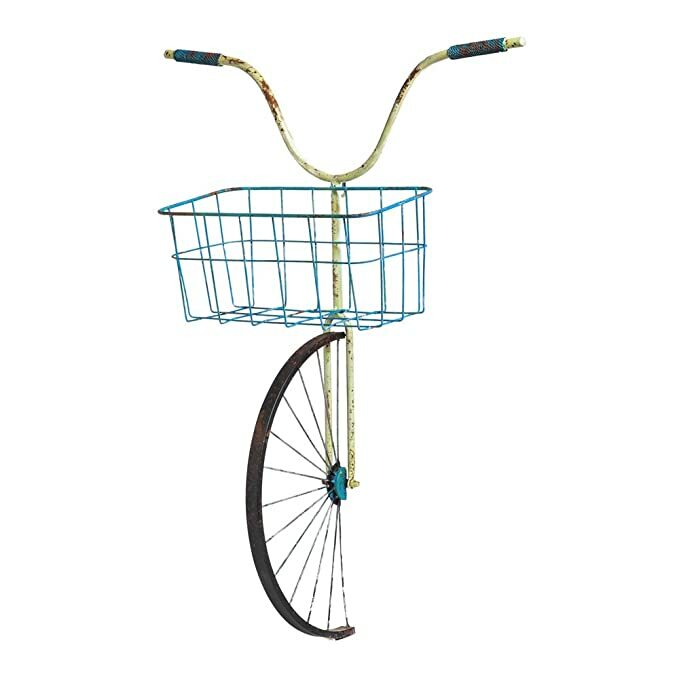 Even though it is not a bike décor suited for the outdoors, this particular piece had to make it on our list. Apart from the other suggestions, this bicycle model looks brand new. It features vintage shiny colors and impressive artistic curves and shapes. 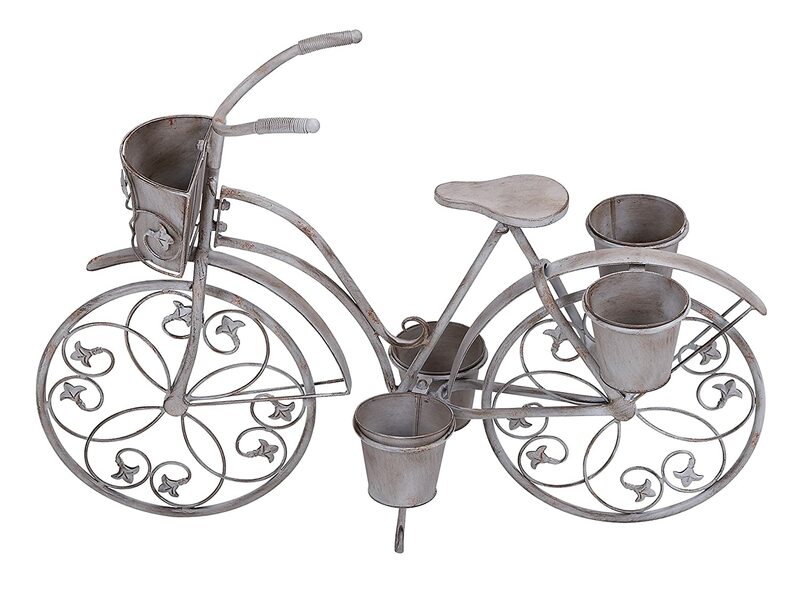 If you go for a rustic ambiance, you must definitely add this bike design to your collection. It is easy to set up and the splendid patina will catch the eyes of your guests right away. Not only are bicycles a greener alternative we can use to move around, but they also make for impressive decorations. Hence, this list features the most creative bike decor ideas you can use to add a touch of beauty to your personal space. Whether you choose to place them somewhere in the garden, among the flowers, or in your living room, these decorations are sure to catch the eyes of your guests right away. Furthermore, each piece benefits from strong, durable materials with weather-resistant finishes in order to keep them safe from inclement weather. Also, they do not require special training in order to set them up. Each model features hooks that will help you hang them on the walls in just a matter of minutes.